And for most of your life, you truly believe that things will be the same. You go away to college, but you make it a priority to go back home – you’re not ready to break away – and miss your first days of classes. It gets harder in the final college years, juggling an internship and applying for jobs; getting ready for that next step. But still, somehow, you make it back home. You move to another hemisphere, certain that this will be the year that everything changes. Fate had other plans, however, and you are home. Then, you decide to follow your heart – mine happened to be in Green Bay – and accept the perfect job three and a half hours north of home. When your parents drive away after helping you get settled into your new apartment, you sit on the floor in the middle of the room and cry. Because you know that everything has changed. But still – you go home on Labor Day weekend, dragging your boyfriend along. Introducing him to all of your friends that you see once a year, sharing this part of your soul with him. Laughing at old memories, eating a sno-cone. Happier than ever. The next year, your boyfriend has become your husband, and although your name has changed, the sights and smells are the same. Faces are older, families are growing, but the laughter and memories remain. And suddenly comes a year when you won’t make it home. 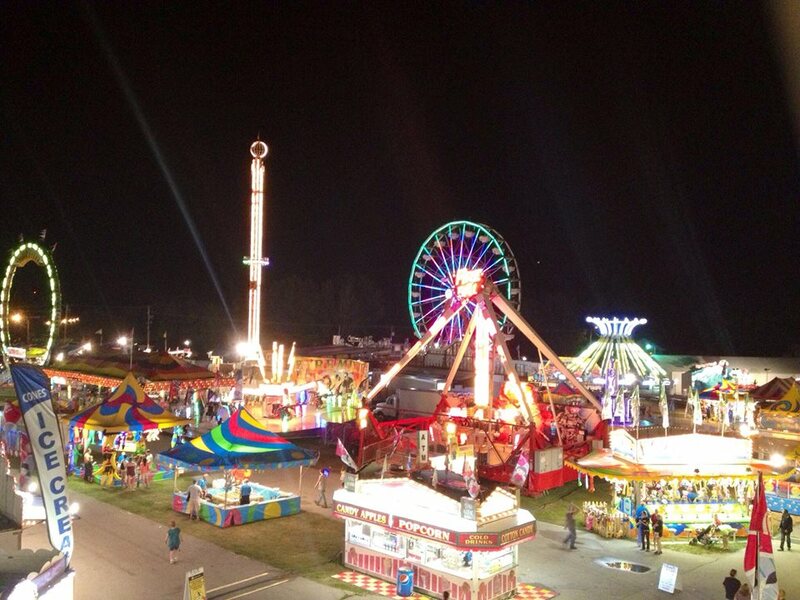 You know there are other county fairs that you can attend, but none are the same, and you don’t have the heart to go. Not yet. Growing up, our summers revolved around the Walworth County Fair. It was always the perfect time – Labor Day weekend. A final farewell to summer, and a whole week that you got to spend with your closest friends. For 20 years, I have spent my Labor Day weekend at the Walworth County Fair, as an exhibitor and then a supporter. My youngest sister Rachel grew up at the fair. Lifelong friends were made in the show ring and at the wash racks, and although you see each other only once a year, it feels like not a day has passed. Over the years, vendors have come and gone, but your fair friends have remained. This year, I will miss the smell of the shavings, the rush of show day, the sno-cones and cinnamon rolls. But what I’ll miss the most is sitting on the showboxes and catching up with some of my oldest friends. In 2004, a local newspaper did an article about our family and our love for the fair. I actually forgot about that article until now. Thank God for the internet. Farming as a Family – Funny how 10 years later, I still feel the same way about the fair. Cheers to the Walworth County Fair, and all of my fair friends. The Walworth County Fair is in our blood, and while all of our lives have changed, that never will.